Thanks for joining Sarah and me for Meatless Monday today. As my regular readers are aware, I have just returned from a week long family vacation in Italy where I enjoyed much pizza, pasta and gelato. Nothing at all wrong with indulging while on vacay, but now I am ready to get back on track. I was doing some meal planning and came across one of my previously posted recipes, Raw Pad Thai salad with Kelp Noodles. Considering it is going to be hotter than Hades this week, this Raw Pad Thai salad is just what I want to be eating. Ever had Kelp Noodles ? They are literally made of kelp and that’s it! Kelp noodles are low in sodium, have no cholesterol or carbs. I’ve found them to be a great substitute for noodles in salads, stir fry dishes and soups. Kelp noodles are meant to be eaten raw so no cooking is necessary. I expected a salty, seaweed type of taste but nope nothing. Kelp noodles have crunchy texture I would say is similar to a bean sprout. They were just perfect for the Raw Pad Thai. If you don’t see them at your grocery, find them right on Amazon. If you are not ready to try them, I am sure you could sub with any other noodle. There is something about eating raw food that just feels healthy and cleansing to me. This light salad is just perfect for this hazy, hot and humid weather. Oh yes, I’ve also top this huge bowl of veggie deliciousness with a spicy peanut dressing. Everything is better with a spicy peanut dressing right? Whisk all ingredients in peanut dressing until smooth and set aside. Add more water to achieve desired consistency. 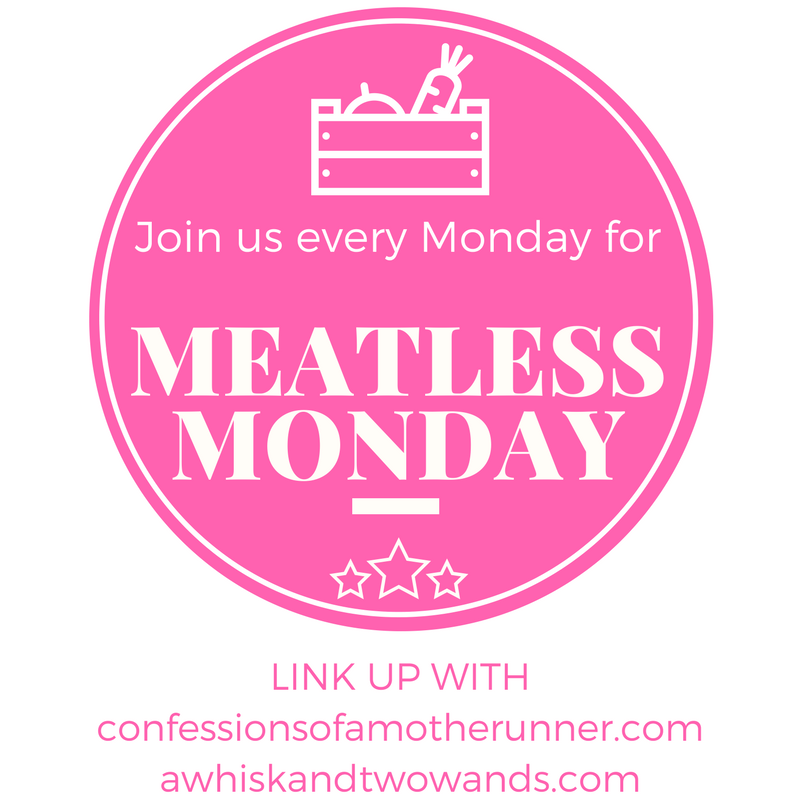 Linking up w @DeborahBrooks14 @Miss_whisk for another drool worthy @MeatlessMonday join us! Tell me: Have you ever had Kelp noodles? Do you like to go raw? This looks AWESOME. I love pad thai, and leaving everything raw would make it so crunchy and satisfying! This looks amazing! I’ve never tried kelp noodles, but I’ll need to track them down! I have had kelp. But I love that it has no carbs and can be a noodle substitute. I have been looking for something else rather than Spaghetti squash all the time. Can you get that in your local grocery store or do you need to go to a specialty store? I like that it is a substitute for spaghetti squash as well. They may have it at your whole foods. I originally just ordered it from amazon bc it’s so easy. Maybe you will win a pack! This looks delicious. I love pad Thai and I love raw food. That salad looks amazing, and yes, I would love to try kelp noodles! Thanks I hope you try it out! I”m pinning this for later. I think this would be fantastic on a hot summer day! Such a beautiful salad too! I’ve never tried kelp noodles but I really want to try this salad! It looks so good! Thanks for hosting! So pretty and vibrant! What a great idea to make pad thai with these- looks so yummy! I’ve never tried kelp noodles before! That looks yummy!!! I was surprised by how much I liked them! I love Pad Thai and this looks absolutely delicious! Happy Meatless Monday! Yum, I loooove Pad Thai! I have to admit I’ve never heard of kelp noodles. They look delicious! I only just recently discovered them and they are so good! Ths salad is healthy and colourful, I have not used these noodles before. Thanks for hosting the lovely party. WOWZA ! All the colors in this salad! It looks fantastic! Thanks so much hope you give it a try and enjoy! Yum! I love pad thai. Thanks me too and I was looking for a healthier way to go. This might even work for your whole 30? I love kelp noodles. I haven’t made them in so long… they’re fantastic as leftovers too because they soak up all that flavor and soften. Love this! Yes I can’ believe I had never had them before! Looks delicious! And so colorful! I’m back under that proverbial rock…I’ve never heard of kelp noodles LOL You’re giving me quite an education! LOL I knew you were going to say that! I actually only recently discovered them myself. Maybe you will win my giveaway! You could also use rice noodles but would have to cook them first. YUM! So pretty and bet it is delicous! Thanks so much I have been eating it for 3 days now! I’ve never had kelp noodles, but these look so yummy! I love how many vegetables you added. All of the color in this dish looks beautiful – and quite tasty as well! I love pad thai, and kelp noodles! This is definitely happening soon. This sounds awesome! I want to try them! I think you would really like them! I love KELP and this looks like such a tasty recipe!! I’ll have to try it this week, thanks for sharing! I wish my had a larger food budget right now, I’d love to try something like this! Really nothing in there is too expensive and you would eat it for days. The cabbage and carrots you can shred yourself. You probably have all the ingredients for the dressing. You could really use any noodle in there like an angel hair. I hope you try it when you are able. Looks interesting. I’m not a huge pad thai fan, but I might try the noodles in some other sort of cold salad. Have you tried them cooked? Yes I also used them in a stir fry just added them at the last minute to warm up it was good. It’s been aged since I’ve made Pad Thai – this looks great! What a colorful, beautiful dish!! I haven’t tried those noodles, but I need to – you make it look so good! we do black bean noodles, so these look great! I would love to experiment with cooking with kelp noodles. This looks great! Omg! This looks amazing! Can’t wait to try it! You have sold me on trying kelp noodles! This recipe looks so fresh and delicious. I can’t wait to try it! That salad looks so colorful and fun! I agree. Eating raw does feel healthy! I’ve never had kelp but it sounds intriguing. Thanks for the info on it. I am a huge fan of how colourful this dish is! #EatTheRainbow! i have been meaning to try this noodles,,, look at that deliciousness!!!!! Veggie deliciousness is exactly how I would describe this. Eat the rainbow! I’ve never had kelp noodles…this looks so colorful and flavorful, I’d love to try them out! So this is, quite literally, the most gorgeous salad I have ever seen. I eat plenty of seaweed salad at my local sushi place, so I bet kelp noodles would be great. This sounds so yummy! I still do eat salads in winter, although I gravitate more towards soup. OTOH, lately I haven’t made any soup! I think this is the most beautiful salad I have ever seen! Oh you are too sweet! Admittedly I’ve never had kelp noodles before. But now I am intrigued!! I definitely want to try this salad. I only just discovered them and I love them! Ha ha it does not happen very often!! Kelp noodles sound interesting. Definitely worth a try. I love pad thai! Just had some for lunch today actually. Like this fresh take on making a salad version. Thanks I think you would like it! I’ve never heard of kelp noodles but this salad looks AMAZING! Thai inspired dishes are always so full of flavour! Kristy from Southern In Law recently posted…DIY Alphabet Dating Book – A Cheap, Easy and Homemade Gift Idea! I’ve never tried these noodles before, but I’d love to give them a try! You really packed in the colors of the rainbow into this salad Deborah! I never tried Kelp noodles – it’s definitely something I’d love to try!! Oh I know you would love them! That looks like the most colorful plate of deliciousness ever! 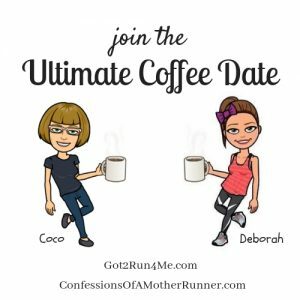 Tara @ A Daily Dose of Fit recently posted…Accountability Partners: What are they? Do you need one? Kelp noodles? Why not- this sounds fun! This salad looks so, so good! I have to try this! Thanks so much! I promise it’s a good one! 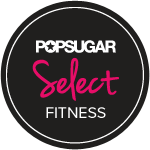 Thanks for linking to Sunday Fitness & Food Deborah! 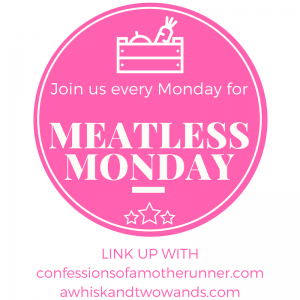 I will certainly link back to Meatless Monday as of next Sunday!! Have a great week!! 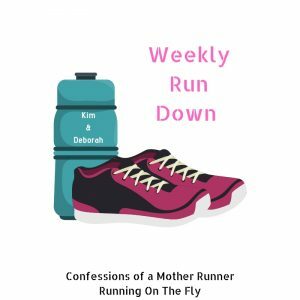 I don’t post on Sunday so I always forget about your linkup but will try to join more often! Thanks I will check out your link up too! It is supposed to be hot this week and this salad looks like the perfect meal for the heat! This looks perfect! I still haven’t tried kelp noodles, but I love pad Thai (and peanut dressing! ), so I must try this salad! Another delicious recipe. I want come eat at your house. So jealous of your Italy trip. It looked fabulous. I’m in the same boat girl as you know! Only we only had pizza once and gelato twice in 10 days but twice for pizza if you count lasts night as my husband wanted it and easy after running around on no sleep trying to get things done yesterday afternoon. I had kelp noodles one or twice. They’re a great substitution, and this looks delicious! Salads are always the best! So healthy! I also own a food blog @ http://www.mommylair.com and have tried to link up onto meatless mondays-let me know if I have to fix anything to make the link work! I know I say this all the time but it’s true— this looks amazing! The colors, flavors and even texture combinations look yummy! I’ve neve rheard of kelp noodles before but they look really interesting! I know what you mean about raw food. It feels SO healthy. This salad looks magnificent. Perfect for these hot summer days! This recipe is perfect for this crazy mini heatwave we’re in! This looks soo good… and perfect for summer! I’m pinning for later. Ooooh. Kelp noodles sound yummy! I bet this is delicious! I do enjoy pad thai, but the crunch of the noodles must make it extra summery and delicious. I’ve never tried kelp noodles! Glad to find out about this. I avoid wheat so I’m always looking for good alternatives. Looks good! They would be a fabulous alternative for you! Oooh I’ve never heard of kelp noodles; but they look a lot like glass noodles, which I love! I’ll have to see if our grocery store carries these! They are a great alternative to pasta in salads and stir fry. I just usually order them from Amazon which reminds me I need some too! What a beautiful, colorful salad! I always say the brighter the salad the tastier it is. And it looks quite festive for summer too. That looks awesome, and what a great meal for these hot, humid days we are having here in the midwest! I’ve never tried kelp noodles (or kelp, for that matter). I wouldn’t have thought it had such a mild flavor. Thanks for sharing the recipe! I’ve never tried kelp noodles before. Didn’t even know they were a thing! YUM!!! This looks so delicious (as well as all your food in Italy). I love me some pad Thai! I have not had kelp noodles yet but I am intrigued to try them now! Interesting recipe, I love Pad Thai as well, but have never tried kelp noodles. Thanks for sharing it.